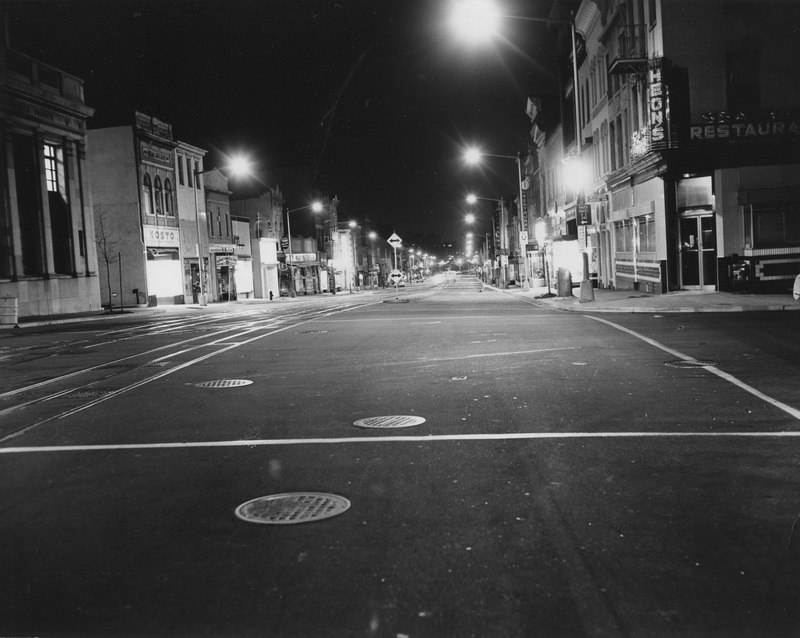 Georgetown Time Machine: Empty M St. 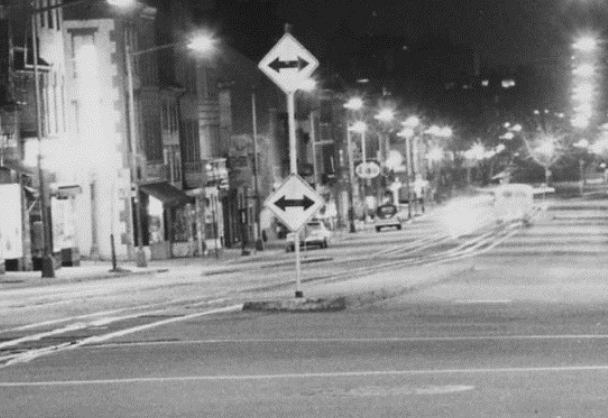 This week on Georgetown Time Machine, GM visits the intersection of M and Wisconsin at a rare time when there was not a single soul around. 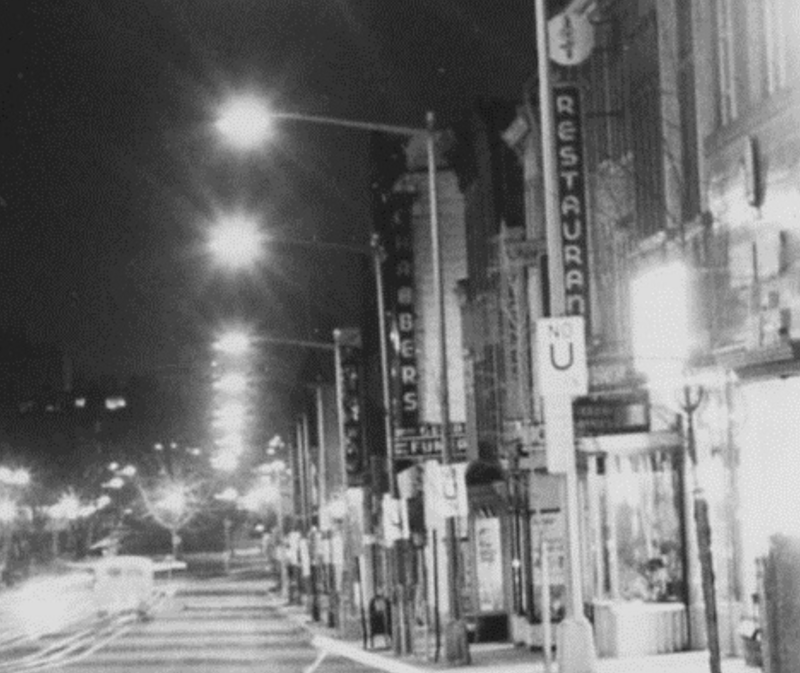 It’s not clear exactly when this photo was taken, but it’s similar to other photos of a dark empty M St. that are dated to 1959. And that sounds correct. So what is there to notice? If this is 1959, then the streetcars only had about three more years left before they were abandoned. As for the streetscape, you can see the Riggs Bank, which hasn’t changed much since it was built in 1922. These are tenants GM has discussed before. Kosto was a craft store. Scotts was a shoe store. Georgetown Electric was an electronics store (there’s still a sign for Georgetown Electric on the back of the building, and the owner of the building is still listed as Georgetown Electric Co.). It’s hard to see the rest of the signs in the photo, but the wide building that now hosts Urban Outfitters was a Woolworth’s. At the center is Chambers Funeral Home. GM wasn’t aware that this funeral home became part of the larger Chambers funeral home chain. It was for many years the Birch Funeral Home. GM’s not sure what the restaurant to the right is. 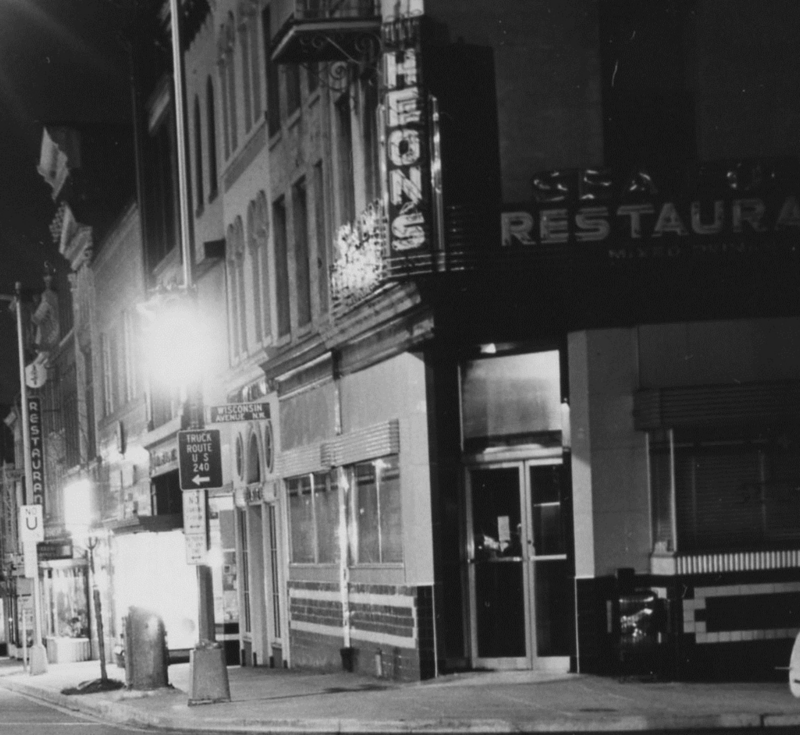 This 1950s style restaurant was (GM believes) the last iteration of the Heon family business at that corner before Nathans moved in about ten years later in 1969. 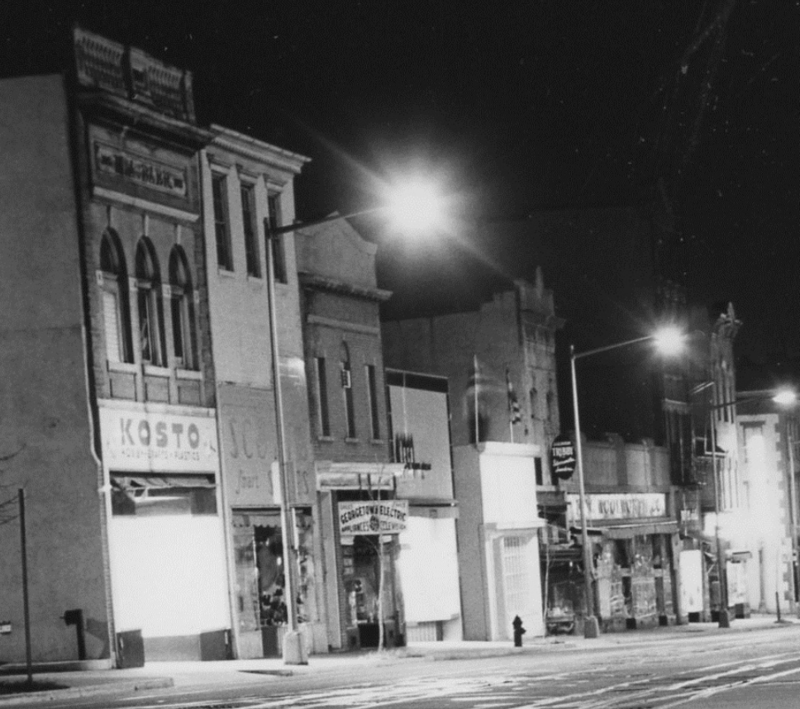 Prior to running a restaurant here, the Heons ran a pharmacy and other goods store. It looks like they had quite the neon sign. It’s a real shame how many great old neon signs were taken down over the years.